This morning I have been setting up my Azure Servers in preparation for my presentation to the Cardiff SQL User Group this month. I decided it was time to write a Create-Database function using a number of scripts that I have used to create individual databases. Whilst finalising the function I didn’t quite get it right sometimes and was faced with an error. 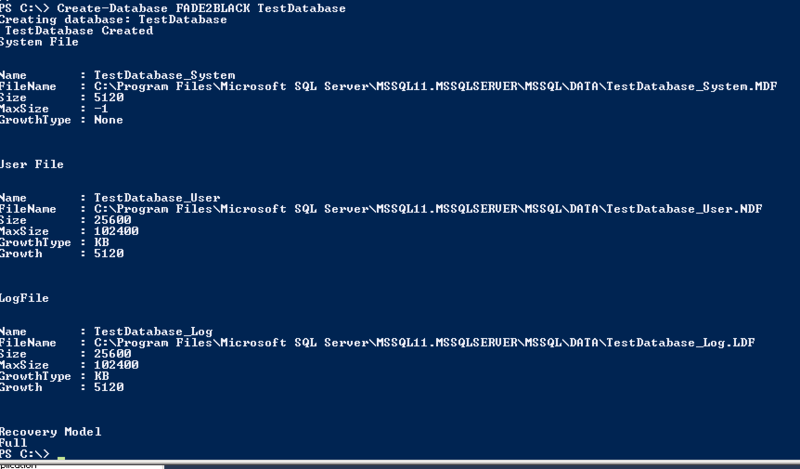 You can view the last errors PowerShell has shown using $Errors. This gives you the last 500 errors but you can see the last error by using $Error if you pipe it to Format-List you can get a more detailed error message so I added a try catch to the function which gave me an error message I could resolve. 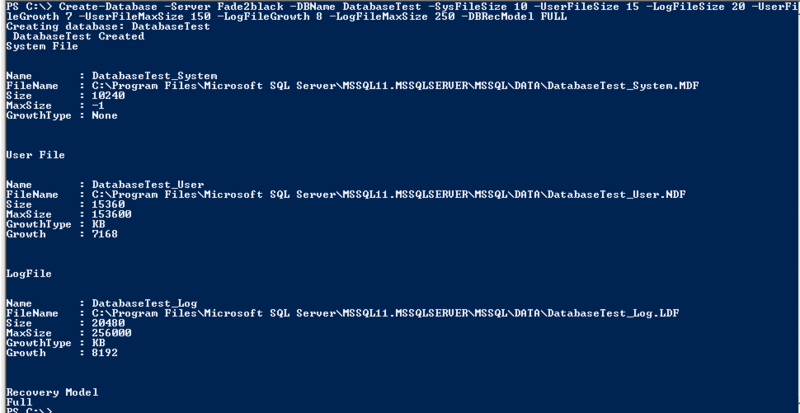 Cannot create file ‘C:\Program Files\Microsoft SQL Server\MSSQL11.MSSQLSERVER\MSSQL\DATA\.LDF’ because it already exists. 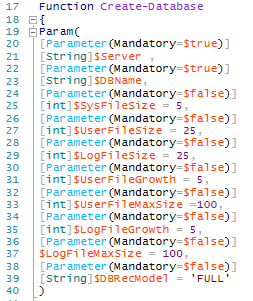 Mistyping a variable has caused this. Creating an empty file name variable which then threw the error the second(and third,fourth fifth) times I ran the script but this error pointed me to it. # Best practice is to separate the system objects from the user objects. # First, create a data file on the primary filegroup. $SystemFileName = $DBName + "_System"
$SysFile.FileName = $DefaultDataLoc + $SystemFileName + ".MDF"
$UserFileName = $DBName + "_User"
$UserFile.FileName = $DefaultDataLoc + $UserFileName + ".NDF"
$LogFileName = $DBName + "_Log"
$LogFile.FileName = $DefaultLogLoc + $LogFileName + ".LDF"
This entry was posted in PowerShell, Powershell Box of Tricks, SQL Server, Uncategorised and tagged automate, automation, databases, error, errror handling, Powershell, SQL Server, try catch. Bookmark the permalink. Can you repair link do script?